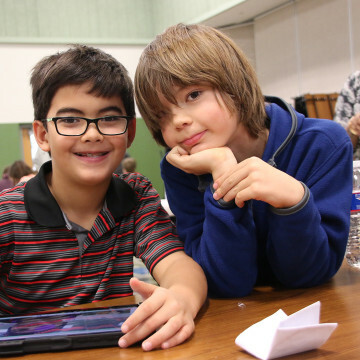 Round Rock ISD Enrichment seeks to provide experiences to all students that enrich their academics. This exposure to new and different skills helps spark creativity, innovation, and enthusiasm for learning. Students can choose from academic, arts and cultural enrichment, recreation, leadership development, and group learning activities. Offered in grades K – 12 at participating campuses. Known as a sport for the mind, students are taught strategies for fast-thinking and problem-solving skills. The district is building capacity to run U.S. Chess Federation sanctioned tournaments for students. Offered in grades K – 12, available at all Round Rock ISD schools. Students meet weekly with competitions scheduled on weekends. Organized academic competitions aimed to provide healthy character building, good sportsmanship and fair play. Use the links below to learn more about the UIL program at your school. Students meet weekly after school with competitions schedules on weekends. Fosters creativity and team-based problem-solving skills. Students compete in Spring regional meet. 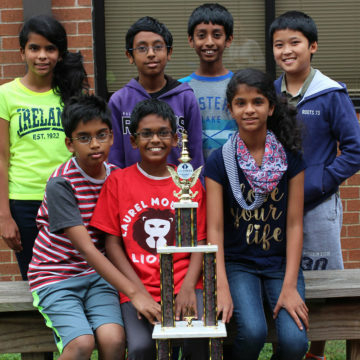 Competitive teams (Grades 3+) are eligible to advance to State competition and Global Finals. Use the links below to find out if your school has a DI team. 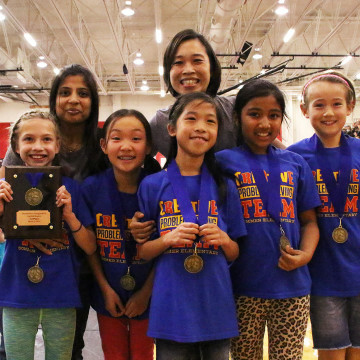 DI teams are managed by parent volunteers. Offered in grades K-12 at participating campuses. Students are taught engineering strategies for design, development and execution. Weekend competition for some programs. 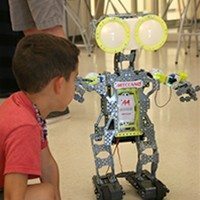 Use the links below to find out if your school offers Robotics. Students have the opportunity to set goals, train for them, and work to develop strategies to cope with stress and difficulties in a healthy manner. 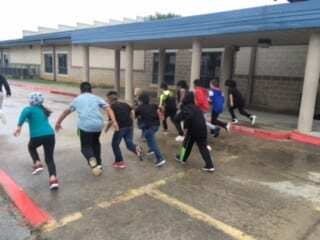 With the support of a coach and other volunteers, students train for a 5K race and run it together. Students meet weekly for 45 minutes after school with competitions schedules on weekends. A motivational program to strengthen basic math concepts and skills, aligns with National and State Mathematics Standards. Use the links below to find out if your school has a Math Pentathlon team. Teams are managed by parent volunteers. 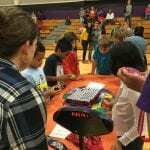 You Can Do the Cube clubs and competitions available for K-12. Students learn algorithms and solutions for the cube and how to apply in other aspects of life. Students compete as teams first, working on cooperative competition. Designed for 6th – 8th graders, at participating campuses. Students meet weekly with competitions schedules on weekends. Promotes mathematics achievement through a series of fun and engaging “bee” style contests. Students compete at four successive levels: school, chapter, state, and national. 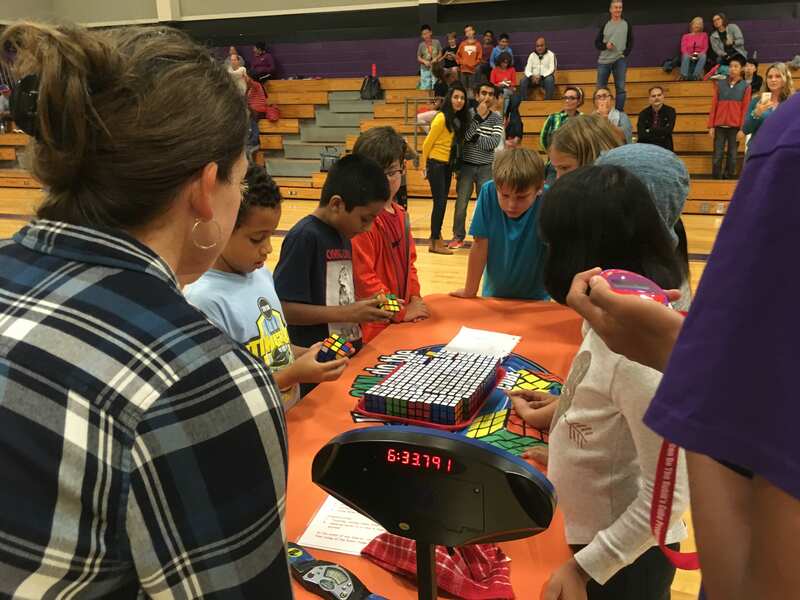 Use the links below to find out if your school offers MathCounts Texas | Math Counts National. An annual open house hosted by The University of Texas at Austin the first Saturday of March. Free and open to K-12 students and their families. Discover over 350 hands-on science, engineering, arts and cultural activities on campus. For further information visit the UT Austin website. An interdisciplinary program, which follows a six-step modification of the creative problem solving process. Students K-12 may participate in four divisions of the program: competitive, curricular, community service, and scenario writing. The challenging materials are designed to motivate students to develop creative, critical, and analytical thinking skills as well as research skills. Use the links below to find out if your school has a team. A part of the National History Day program. Offered in grades 6 – 12 at participating campuses. Students demonstrate their knowledge of history through papers, performances, documentary presentations, web sites, or exhibits. Students 3-12 can participate in units grouped by elementary, middle, and high school ages at participating campuses. Students meet weekly to complete 4- to 6-week learning modules. Hands-on labs that foster natural curiosity and help build interest in STEM-related careers. Opportunities provided in leadership and mentoring. Use the links below to find out if your school has a unit. Offered to girls in grades 6 – 12 at participating campuses. Curriculum designed for students with a wide range of computer science experience. Students learn teamwork, confidence, time management, communication, functions, variables, conditionals, and loops. Summer Immersion Program offered for Rising 11th and 12th graders.